It appears there will be an interim study on uses for the earnings from the state’s Legacy Fund. Senate Majority Leader Rich Wardner (R-Dickinson) had been working on creating a series of “buckets,” or “silos,” to determine how that money would be spent. But he said he would like to have a special committee appointed to study this issue. Wardner said that committee would include the floor leaders and some of the “key players” in budgeting. "This Legacy money needs to be used appropriately," Wardner said. "We want to invest in the state, and make sure it's being used for certain things." Wardner suggested investments in roads, education and things of that nature. "Everybody's concerned about expansion of government," Wardner said. "We're not looking to expand government." Wardner said it’s important to have a plan for that money. "If we do not have a plan, it'll be like piranha after a helpless animal in the Amazon river," Wardner said. "It'll be everybody in there, trying to take whatever they can." North Dakota Senate Majority Leader Rich Wardner (R-Dickinson) said there could likely be a proposal to define what the interest earnings on the state’s Legacy Fund can be used for. This is the first biennium where the earnings from the fund flow into the state’s general fund. Wardner said the idea is to create another system of “buckets,” similar to those created for oil tax revenue. We think there are certain things that have higher priorities than others," Wardner said. "If we did that, it would lock up money into certain areas, rather than put it in the general fund." Some Legislative leaders believe Gov. Doug Burgum’s proposal to use $50 million from the proceeds of the Legacy Fund to build a Theodore Roosevelt Presidential Library and Museum in Medora will have a very tough go in the Legislature. Burgum’s proposal is a “2-for-1” match – the $50 million investment would raise another $100 million from private investors. Still, Legislative leaders on both sides of the aisle think this may be a non-starter. North Dakota's Senate Majority Leader likes the idea of using the Legacy Fund for low interest loans to cities and counties for infrastructure. 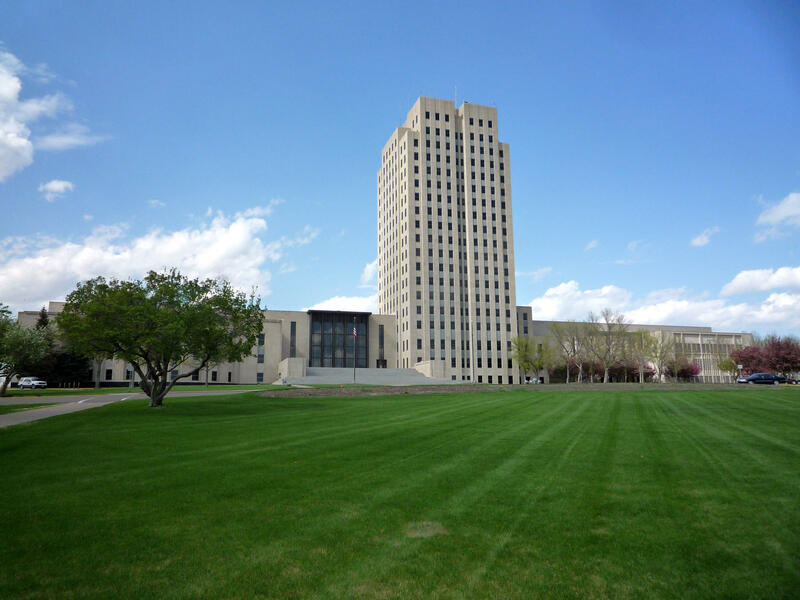 Two Minot lawmakers -- State Representative Roscoe Streyle (R) and State Senator David Hogue (R) have drafted a bill for the 2019 session to allow that. And Fargo Mayor Tim Mahoney had suggested the idea as a source for capital to build the Red River Valley Water Supply Project – to bring Missouri River water to the Valley during droughts.